Fabinho was brilliant against Red Star Belgrade at Anfield in the Champions League – but his impact during games this season has been exceptional too, according to this statistic. He has looked off the pace at times but firmly announced himself in a red shirt on Wednesday – and this stat shows just how proactive he is. Jordan Henderson often gets stick for not passing forwards enough, but Fabinho cannot be accused of that judging by this. 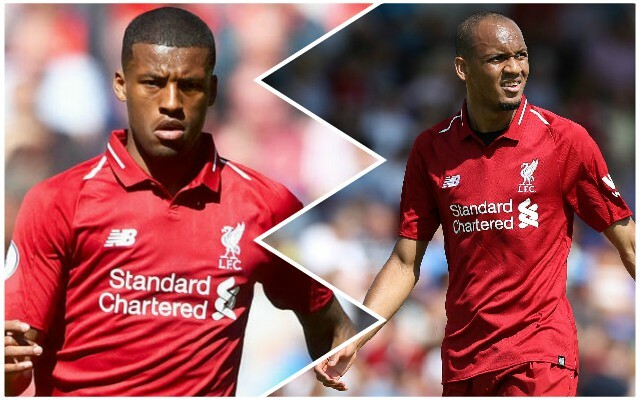 Both Henderson and Wijnaldum, it must be noted, have played much more frequently and against better opposition, but even so, it’s interesting. It’s still early days, but the £40 million man must be doing something right.